Scourge of the Demon Wolf sale! The PDF copy of Scourge of the Demon Wolf is on sale for $6 on RPGNow (or DriveThruRPG). Three died. They were mauled beyond recognition. The Baron sent his huntsmen to kill the beasts and for a fortnight they tramped across the countryside. Between their whoring and drinking they killed twelve wolves, parading their skins through the village. They were hung on poles as trophies of victory. 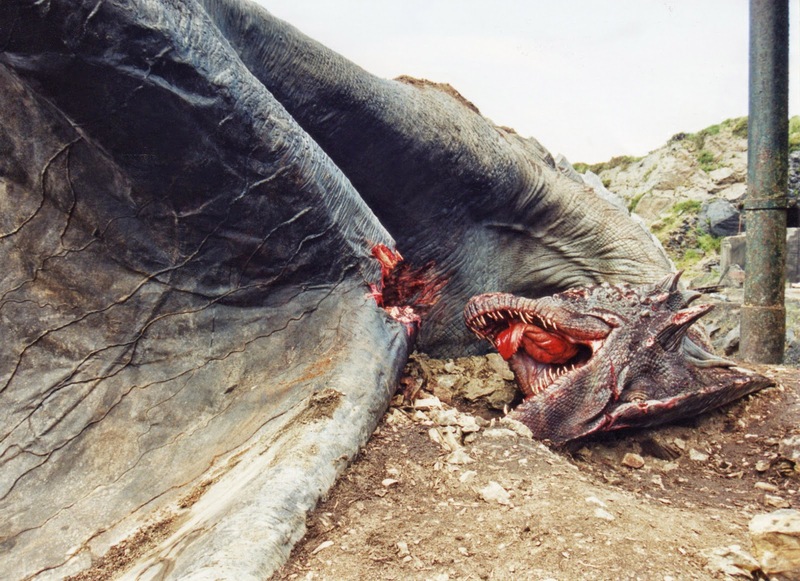 Then the huntsmen left, the beasts slain, the village saved… so we thought. As the fields turned golden under the summer sun the killings began again. Four more died. Then the Baron's man, the bailiff, was killed on the high meadow in sight of Mitra's Temple. His screams could be heard well into the village. He was only identified after we reassembled the pieces. There will be no harvest until the beast is slain and the killings stopped. A 72 page adventure compatible with the Swords & Wizardry rules and a setting supplement to the Majestic Wilderlands. detailing a small barony, a complete fantasy village, a conclave of mages, a crossroads hamlet, and a camp of wandering beggars. Labels: bat in the attic games, News, Scourge of the Demon Wolf. As stated in previous posts, I have been working on my own RPG based on Swords and Wizardry. It not that I think the world needs another fantasy RPG but rather for a variety of reasons I want a rule book that combines my various rulings and techniques on top the Swords and Wizardry foundation. I plan to publish it but it will be presented as a supplement that happens to be a complete rulebook. The Wall of Iron spell is an example of how I am doing this. The original spell was written by +Matt Finch like this. The caster conjures an iron wall from thin air. The wall is 3 feet thick, 50 feet tall, and 50 feet long. In a recent game, a certain dwarven rune-caster came up with a innovative way of combining a dimension door with the wall of iron to take out a dragon and its rider that was plaguing the party. Because of this my version of the spell now reads. This spell will create an iron wall within 60 feet of the caster. This wall is 3 feet think, 50 feet tall, and 50 feet long. At successful Thaumatology ability check of 15 or better will allow the caster to position the wall in such a way that it will fall onto a target. The slab of iron will do 30d6 damage to the target plus 1d6 per 10 feet it has fallen. Since the original publication of the Majestic Wilderlands in 2009, I have dozens of these types of ruling and plus other tweaks to how I run things in my setting. So now is the time to combine them into a formal rulebook. Hopefully in a form that makes it easy for folks to cherry pick what they want for their campaign. 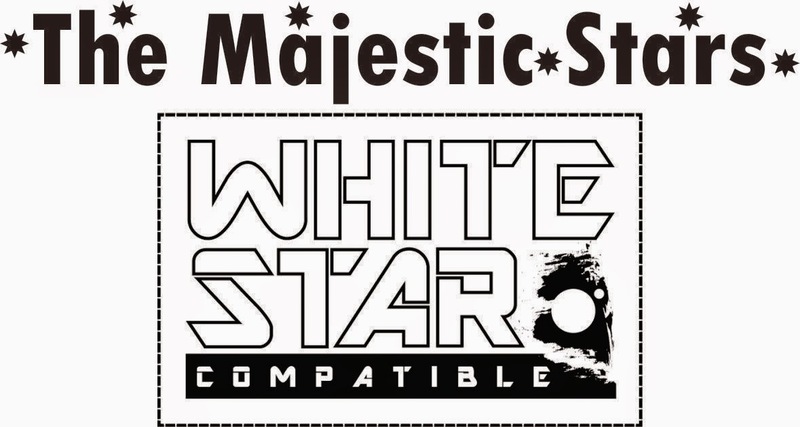 The recent release of the White Star RPG has started a discussion about settings and rules. Tenker weighs in with two posts, here and here, and there is some excellent comments attached to both. Even my friend Tim of Gothridge has some good thoughts on the matter. What I would like to point out is that what came first in the world of tabletop RPGs were the campaigns, notably Blackmoor, Greyhawk, El Raja Key, Tekumel, etc. The rules came afterwards. From reading Playing at the World, Hawk & Moor, and other accounts back in the day, the focus was on one thinking of doing something interesting first, and then figuring out the rules to make that happen. And based on my own experience in the late 70s and 80s, that pretty much the natural way of approaching it. Rules are important as they enable the whole thing to be a challenge rather than just some elaborate daydream or break apart on the "Bang you're dead, no I am not" issue. The importance of DnD and other published rules is that they show what possible. My first encounter with the DnD rules ignited my imagination in a way no other game had to that point. Compared to the Avalon Hill and SPI games I owned, classic DnD was a uninteresting wargame. But it was perfect for exploring worlds that only existed in my imagination with the virtue of being able to do it in the time and budget of a hobby. In my view White Star and many of the other OSR games are not innovative examples of game design. But where they excel is in exposing words of imagination in a way that makes people go "Yeah I can see how that done." and inspires them to realize their own worlds. Again within the time and budget of a hobby. I will say that while I appreciate and respect settings like Tekumel, Spears at Dawn, and Arrows of Indra. They are not really my cup of tea. My preference is for bog standard fantasy world but with depth; Harnworld, Ars Magica, or the old Thieves' Guild from Gamelords. I think we only scratched the surface of the interesting adventurers that can be set in such worlds. In short we need both and that it is all grist for the mill in coming up with adventures and campaigns for our players. 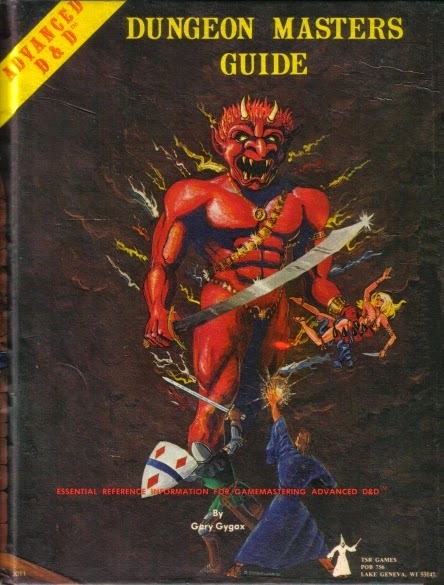 Delving into AD&D: Everything you want to know about First Edition Combat. Gary Gygax wrote some great prose in first edition ADnD. But there were sections where things were not so clear. One of them was how initiative is supposed to work in combat. Luckily a couple of years back a guy named David Prata wrote A.D.D.C.I.T. which lays out the entire first edition combat in detail backed by footnotes. The initiative number is the segment when the OPPOSING side gets to act. So if Side A rolls a 5 and Side B rolls a 2; Side A starts their combat round on segment 2 and Side B starts their combat round on segment 5. Thus for side A any spell that takes 2 segments or less can be cast safely. Three segments spells will be simultaneous with melee combat. Any longer casting time spells run the risk of being disrupted by Side B. Weapon speed, and all the rules about multiple attacks with weapon speed only come into play when initiative is tied. So when Side A and B both roll a 4 then weapon speeds are compared and it may be possible that if the weapon speed is low enough the wielder of that weapon will get multiple attacks. Just a bit of a remainder to say that my friend Tim of Gothridge Manor has Manor #8 out for sale. It contains nice set of grappling rules as well as tips on torchbearers among other goodies. The White Star, White Box Science Fiction Roleplaying. Sometimes it is the harder to write something good when you are shooting for brevity and simplicity. Even Gygax with original Dungeon & Dragons didn't get it right the first time. It took Holmes Blue Book DnD and and refined in Moldavy/Cook version before Dungeons and Dragon got the presentation right. 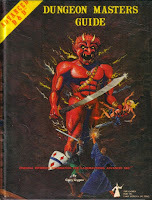 Written by James Spahn, White Star adapts the original Dungeons and Dragons (1974 edition) to science fiction. Mechanics wise there is not much there, but that was goal. To open up the classic tropes of science fiction using the straight forward mechanics of original Dungeons and Dragon routed through Swords and Wizardry, White Box edition. And James does a hell of a job. Everything drips with the love of the genre. His adaptation of the original mechanics to science fiction is spot on. And he manages to pull off a hat trick with retaining 100% compatibility with Swords & Wizardry White Box. 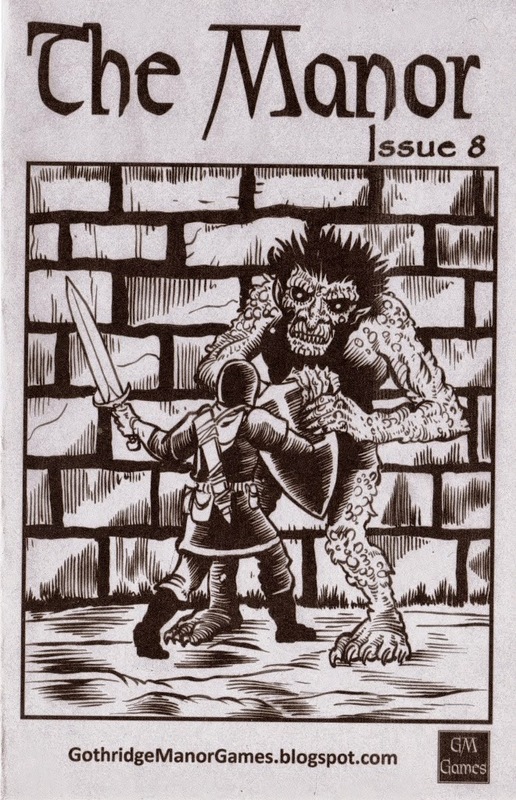 And it been generating buzz all over the OSR especially by Tenkar over on Tenkar's Tavern. I am seeing announcements for supplements popping up like this from the Greyhawk Grognard. I think it warranted based on what I read. What are the highlights of the products in my opinion there are several. He treats starships as monsters/characters with AC, hit points, etc and I am impressed with how it reads. He retains 100% compatibility with Swords and Wizardry. Does a great job of including what you need to run Star Wars style space opera campaigns. So what bad about White Star? Well if you are not interested in content creation then pretty much the only support the rulebook has is for Star Wars style space opera campaigns. But I don't view that as a problem in the long run. Because just about the whole thing is under the Open Game License. So while James has opted to present support for space operas the path is open for other folks to jump in with support for other types of science fiction. Also while it has no explicit planet creation or starship creation rules it looks pretty straightforward to just make up stuff with the examples in the book. It just that easy with the ODnD style mechanics. I will complain that chapter two, Character Creation, was declared product identity. I get that the campaign stuff involving his setting is product identity. But I don't see the point of making the classes product identity. But then again the whole thing so straight forward that it is easy to see how to make your own. So what about Star without Numbers the current leader of sci-fi roleplaying in the OSR. Star without Number is a great RPG, however for me it sits where OSRIC does in relation to Swords & Wizardry. While pretty much the same game, Swords and Wizardry lays out the foundation of of Dungeons and Dragons in a way that OSRIC doesn't. Swords and Wizardry not OSRIC was the game that fired up my imagination enough to figure out how to adapt my Majestic Wilderlands from GURPS to a variant of classic Dungeons and Dragons. 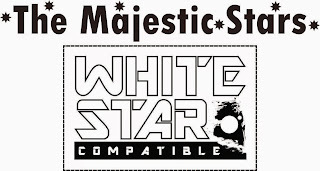 White Star inspires me in the same way. I can see what James is getting at and how I can adapt it to what I like about science fiction. And yes I have something to adapt. While it doesn't have the pedigree or the play behind it as the Majestic Wilderlands, it is something I been working on for a long, long time. Birds flying under distant skies, fish swimming unexplored seas, and dinosaurs ruling unknown continents. On a hundred words there are the children of Earth. Children from an Earth of sixty-five million years ago. Now man has outgrown his cradle and traveled into the black, wondering who and what scattered the seeds of Earth throughout the cosmos. Mankind is forging a new life among the stars but old fears and conflicts still threaten. The year is 2425 and this is their universe, the Majestic Stars. I just finished writing up the Wish spell for my take on ODnD and Swords and Wizardry. The Wish spell has been a "problem" for DnD editions since it first appeared. And the number of ways of dealing have been varied. My take is that unless it is granted by a malevolent being, like a demon, I will generally not try to screw the player over on the wish. However I do keep in mind it is just a 9th level spell so its power (or the ring version) is not infinite. In general I judge consequences of wishes on how well they fit in with the reality of the Majestic Wilderlands. If it looks like coincidence to an observer, then it will be granted without fear of side effects. More improbable result to the outright impossible results in "bad" things happening to the person making the wish. For me, my preference is to whisk them to an alternate reality where their wish is seemingly granted. Taking them out of the campaign for a long time if not permanently. So after thirty years the time as come for me to somehow take what I do and write it up as a rule. The Wish spell enables the caster to control the fundamental nature of reality. Unfortunately the more drastic the change the greater change of a backlash occurring that plunges the caster into an alternative plane of existence. The safest use of a Wish is to cast any known spell except for another Wish. There is no chance of a backlash with this use of a wish. Also the caster can wish for unknown spells with effects similar to the ones known. For example a spell that acts just like a fireball except it is an explosion of ice and cold. Likewise there is no chance of a backlash with this use of a wish. A wish can be used to alter reality. Using a wish in this way can result in a backlash. There are three broad categories a referee can use as a basis for deciding the odds of a backlash. • Coincidental, if the result of a wish can be explained as a lucky coincidence by an observer, the caster will only suffer a backlash by rolling a 1 on a d20. • Improbable, if the result of a wish would be viewed as highly improbable by an observer, the caster will suffer a backlash by rolling a 10 or less on a d20. • Impossible, if the result would be viewed as impossible by an observer, the backlash is automatic. • Outside of an effect similar to an existing spell, Charm Person, etc. Any wish effecting the free will of a sentient individual results in an automatic backlash. The referee can assume that the hypothetical observer knows about the various uses of magic spells. The categories are deliberately made broad due to the flexibility of the spell. When a backlash occur, the caster is sucked up into an alternate plane of existence. If the caster makes his saving throw at -5, he will find his way back in 4d5 years. If the wish is successful the caster is mentally drained and is unable to cast spells for 1d4 days. In February of 2014, I did an analysis of RPGNow/DriveThruRPG Sales Figures based on order numbers. While Order numbers are not an accurate indication of absolute sales, they should be a good proxy for relative sales. For example seeing if sales increase by 20% or 100% over a previous year. Blackmarsh puts me in a good position to look at the order numbers as somebody orders a copy of the PDF nearly everyday, 5,581 copies as of April 30th 2015. Here are the figure up to 2013. For 2014 we started out at Order# 5394233 and ended with Order# 6654344. For 2014 over 1,260,111 order were handled in some manner. This is a small increase over 2013's figure of 1,196,729. How is 2015 shaping up? For 2014, the number of Orders handled to May 1st was 462,252..
For 2015, the number of Orders handed to May 1st is 580,603. Look 2015 will see an increase over 2014 continuing the trend of increasing sales at OBS. Undoubtedly one factor driving is the fact that OBS (the company behind RPGNow/DriveThruRPG) keep expanding it range of products. It now includes physical books, small posters, and cards. Another is the impact of PDF sales of TSR/Wizards products. The only downside seems to be the fact that sales of iPads and other tablets have seemed to have flattened somewhat. But on the other hand larger smartphones are coming into the picture and just about every manufacturer, especially Apple, has had increased sales. If Wizards gets a third party license out for DnD 5e, I bet there will be an explosion of sales as complaints are starting to mount about the how slow the product release cycle is. The OSR, Runequest/Legends, and Fate keep growing as well and each of these games has a lot of third party support behind them.